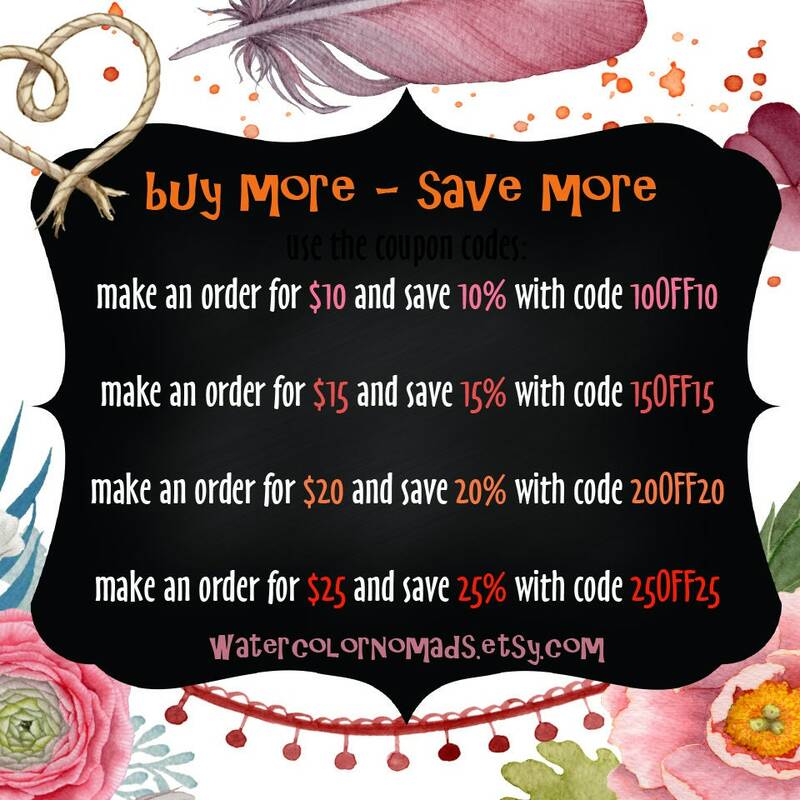 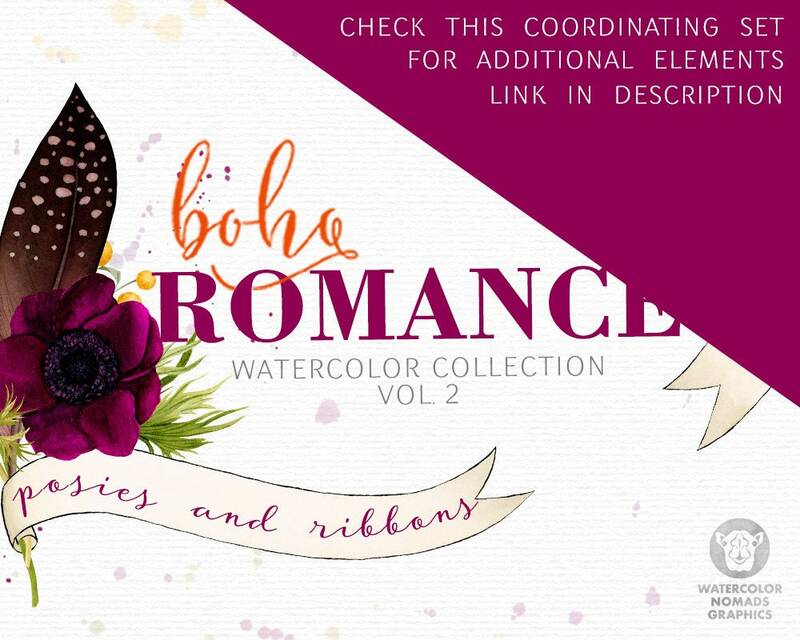 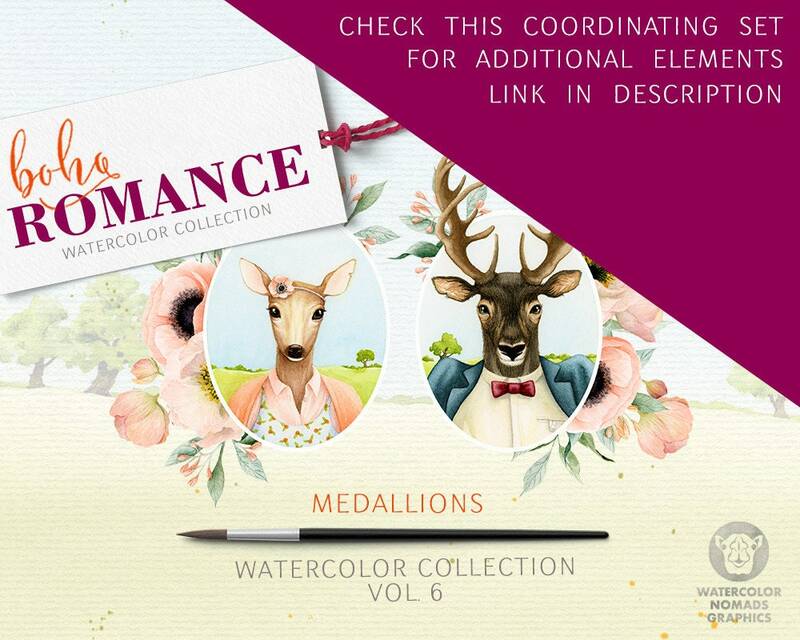 Boho Romance is truly romantic watercolor clipart collection for the bohemian soul. 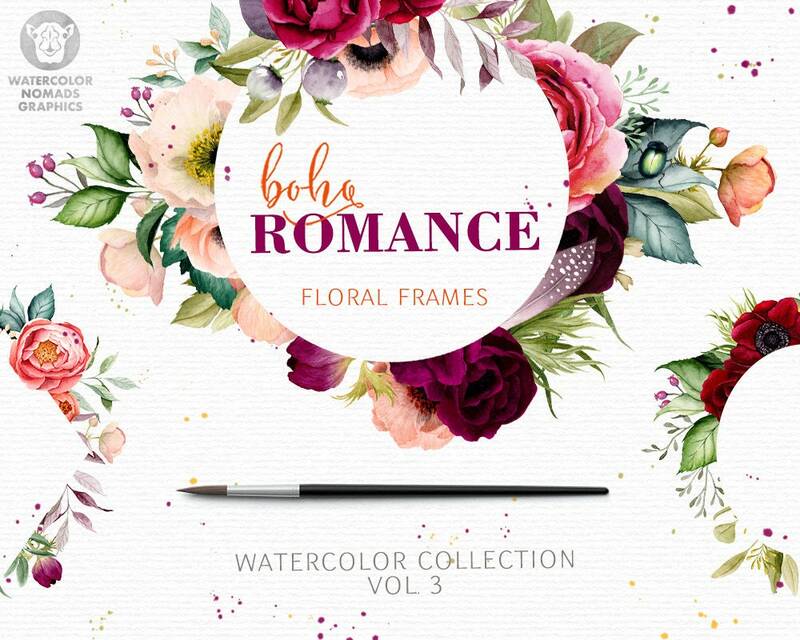 Volume 3 here includes a set of 8 geometry shaped floral frames and 1 backdrop. 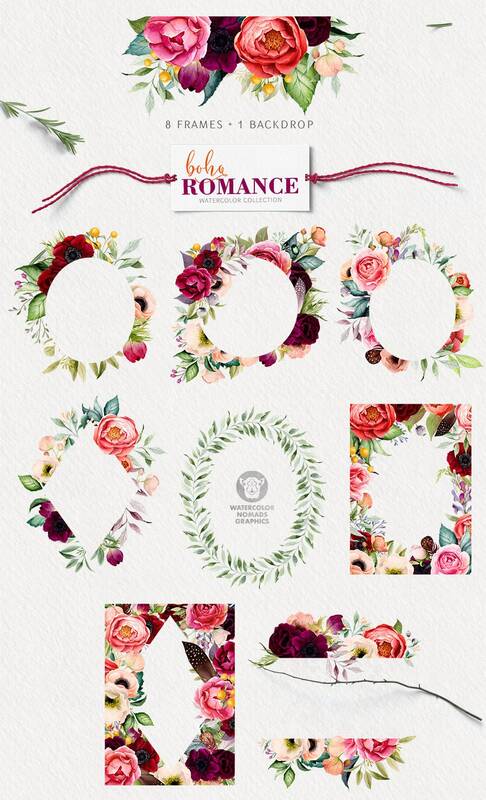 These frames are perfect if you want to design any stationery for a romantic event like engagement or wedding. 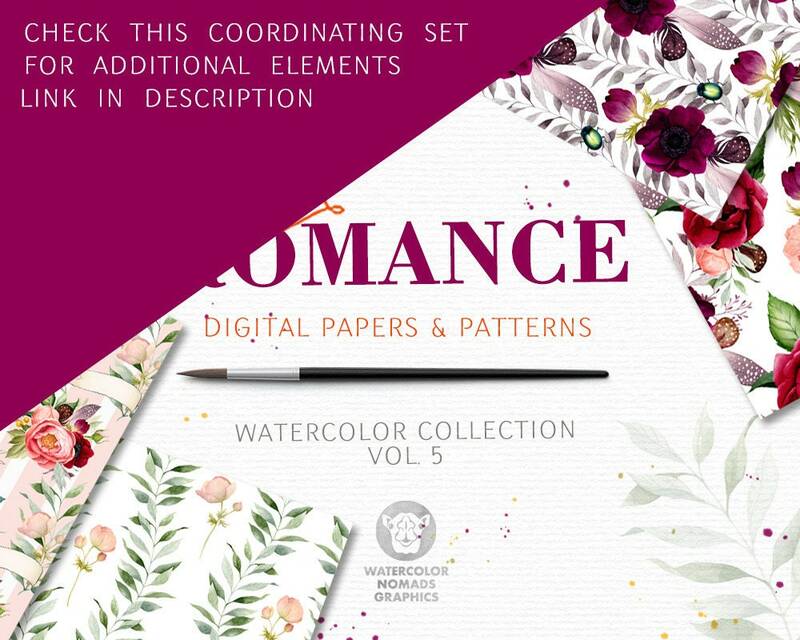 They're great also for scrapbooking, thank you cards and gifts or packaging design for cosmetics and natural products. 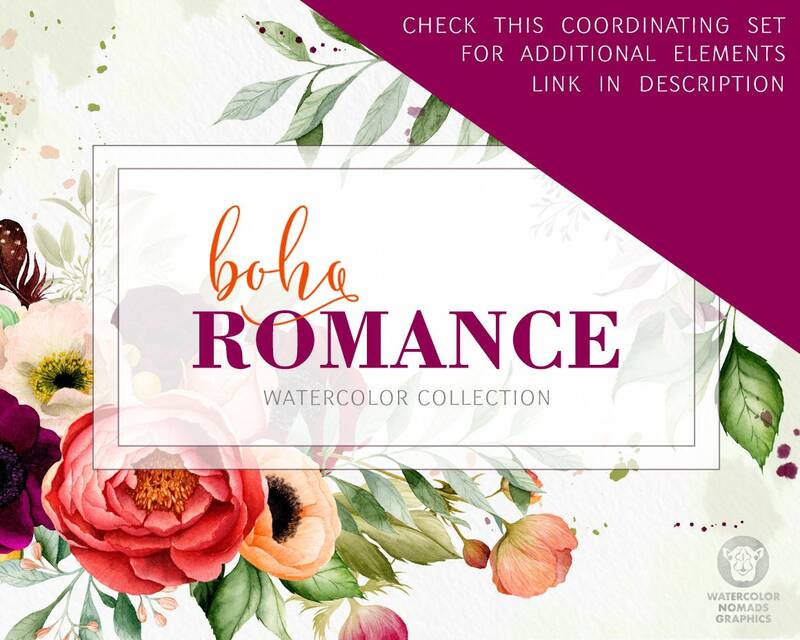 There are 7 frames (circle, elipse, rectangle, rhombus), one big wreath and a backdrop in this listing. 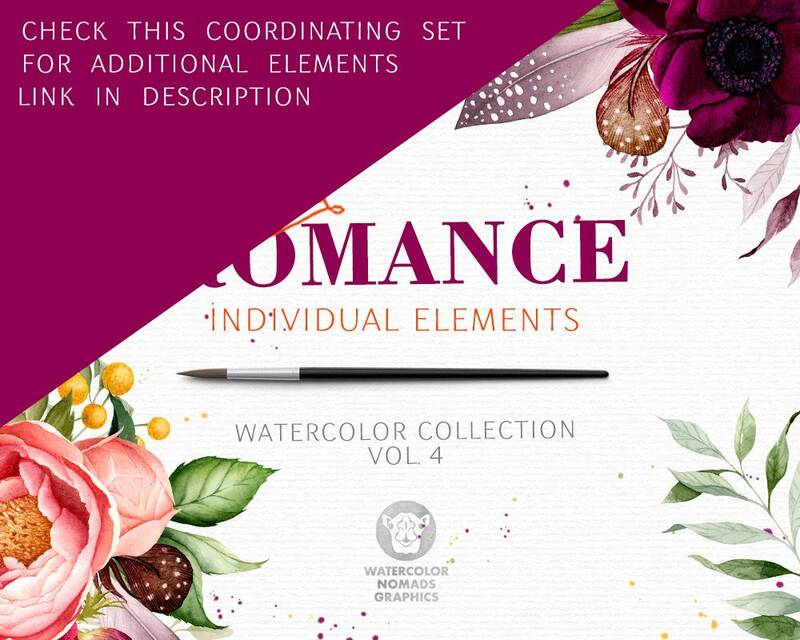 Approximate size 1400 X 3100 pixels.